Matias Klarwein was born on the 9th of April 1932 in Hamburg, Germany. His father Joseph (born Yusef Ben Menachem), was an architect working with the Bauhaus movement and his mother Elsa (born Elsa Kühne), was an opera singer. Mati emigrated with his parents to Israel (then Palestine) in 1934. During the formation of the new Israel, his father won the competition to construct the parliament building: the Knesset in Tel Aviv. Mati's work included drawing, painting, writing, playing drums and guitar, and directing short and medium films and videos. Throughout the years, he worked, traveled and lived in many countries including: Spain, Italy, Greece, Turkey, India, North America, Morocco, Niger, Haiti, Jamaica, Indonesia, Brazil, Mexico, Bahamas, Kenya, Senegal, Gambia, Cuba and Guatemala - more or less in that order. It follows that he spoke no less than six languages: English, French, Spanish, German & Hebrew with good notions in Arabic and Italian. Mati had four children with three different women: Eleonore (b.1963) with painter Sophie Bollack, Sérafine (b.1971) with writer and photographer Caterine Milinaire, Balthazar (b. 1985) and Salvador (b.1988) with painter Laure Klarwein. He lived with each of these women and others including model Kathy Ainsworth, cosmopolite Regina Mayall, and musician Julia Murphy. Mati resided for the most part in New York City (1967-1983) and in Deia, Mallorca, Spain (intermittently since 1953 and as a resident 1984-2002). In New York, he lived in several downtown lofts where he would create his artwork, jam with musicians and run around with such notorious characters as Andy Warhol, Jimi Hendrix, Peter Beard, Timothy Leary and Jon Hassell. 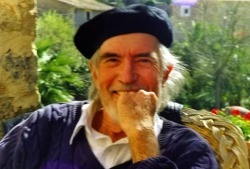 In Deia, Mati lived in a house his father built overlooking the local beach - La Cala - where he would hang out with the likes of painter Domenico Gnoli, archeologist Bill Waldren and the poet Robert Graves. He sold the house to fund a round-the-world trip. When he finally returned, he lived in rented houses particularly: Casanova and his final home San Rullan, owned by neighbors Annie and writer Fred Grunfeld- one of his closest friends. His many events and parties in Mallorca were legendary and in the friendly company of artists such as Ben Jakober, Yannick Vu, Yakov Lind, Annie Truxell, Curtis Jones, Mondino, Annie Lennox and Lynn Franks. During his last months, his longtime friends Bettina Rheims, Serge Bramly, Heloïse Ficat, Felipe Hernandez, Sara Ball and Juan Sanahuja were of great help to him. 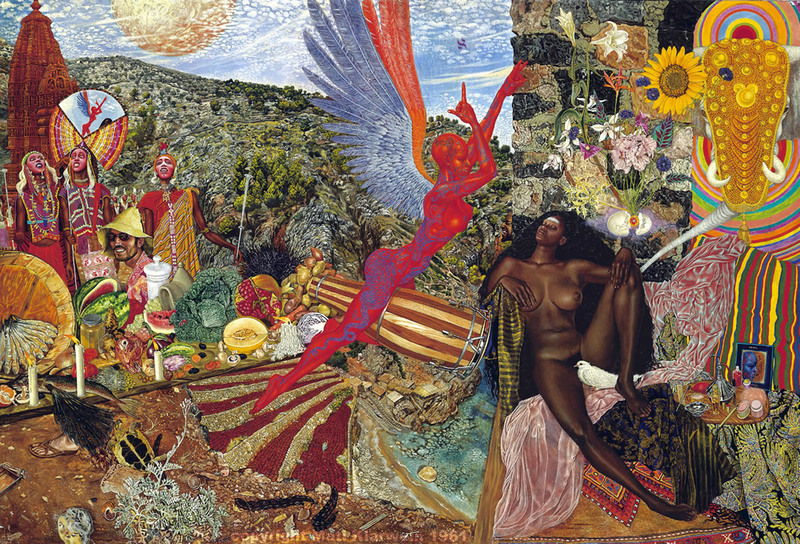 At the age of 69, Mati Klarwein died from complications arising from cancer. He died in his sleep at home on the morning of the 7th of March, 2002. At the present time, Mati is known to have painted at least 600 pieces, including 280 landscapes/mindscapes, 270 portraits, and 120 improved paintings.